Ask any medical professional what the leading cause for a myriad of serious health issues is these days, and you’ll get stress. People are stretched too thin by life’s demands and given how competitive the world is, daily efforts are not just about reaching standards — it’s imperative to perform really well. Many claim that stress can actually be a good thing since it motivates them to work beyond their pre-conceived limits. However, wellness experts say that constant stress will eventually take its toll on the body and all the benefits it supposedly produces can be outworked massively by the presence of high cortisol levels created by the body’s natural fight-or-flight response. The best treatment for stress, many say, is to slow down and get rid of stressors. Slowing down is easy-peasy, but getting rid of stressors is not. Stressors are present everywhere — they include the work you do, your relationships, your life responsibilities, and others. There’s no running away from them unless you decide to leave everything behind and live in isolation. There’s no need to live like a hermit just to regain wellness, though; there are some smart practices that can create a world where only you exist even for just 10 minutes a day. These practices are guided imagery meditations. When you practice this every day, you not only control stress, but you work toward really achieving wellness as well. How do you practice guided imagery meditations? According to mind/body therapists, you need to focus on what you want to improve in yourself and free yourself of any type of judgment regarding your goal. Let your mind play on how you can work toward what you want to happen, and condition your mind that everything will be all right. Believing that everything will be all right will not just instantly reduce stress, but it will also restore your control over situations. When you physically practice guided imagery meditations, find a place where you will not be interrupted (no phone, no kids, no dog). Sit in the most comfortable position and direct your focus on parts of your body that are touching the chair or floor (whichever you choose to sit on), and then close your eyes. Breathe slowly and deeply — just focus on the simple activity for a bit before following your thoughts. You may find your mind wandering; just refocus on what you’re originally thinking about. Afterward, draw your attention back to observing your breath and the beautiful place in your mind. Meditating this way every day can do wonders for your stress levels. You’ll find yourself worrying less and getting less anxious over situations. 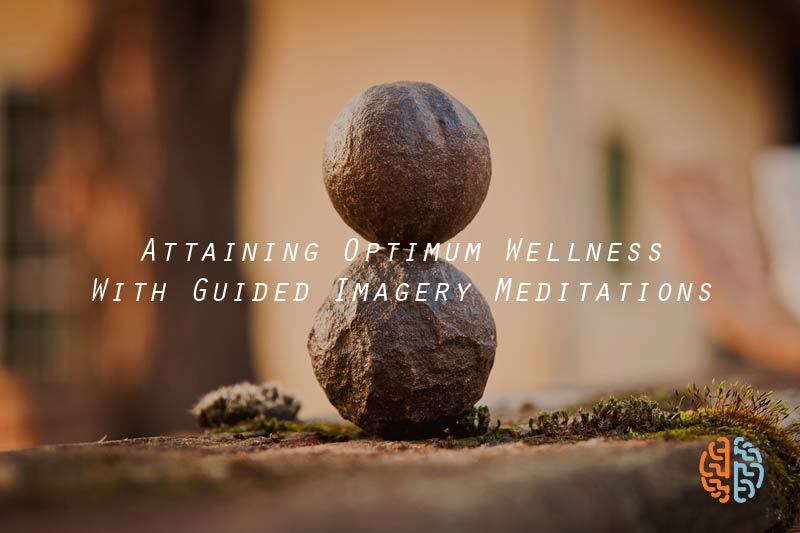 Guided imagery meditations will clear your mind so you can come up with solutions to problems instead of focusing greatly on the problems. And when your mind is healthy, you can bet the body will follow; you’ll experience fewer episodes of severe headaches, upset stomach, and excessive sweating — common manifestations of stress.